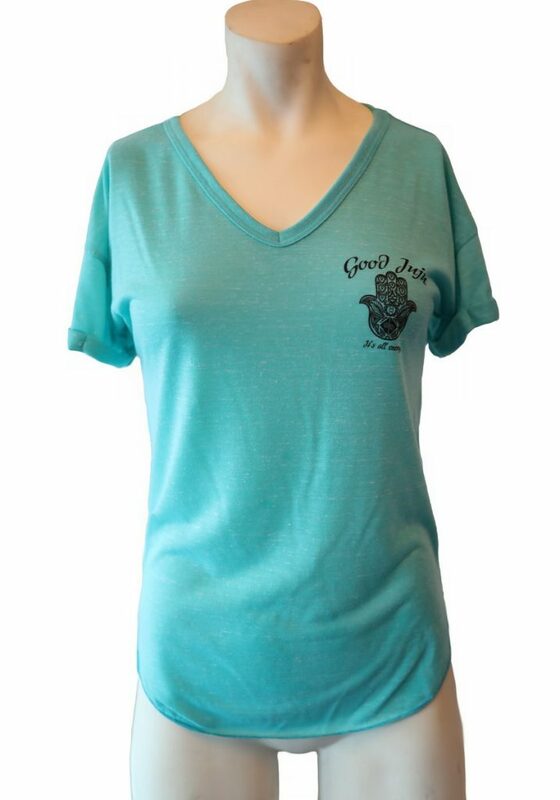 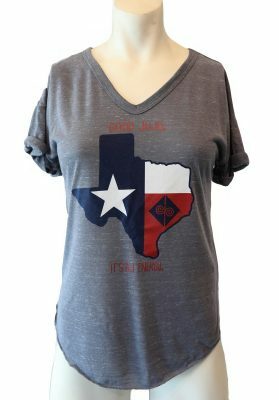 Our teal colored Hand of God v-neck tee is perfect for the any gal who has strong faith, and knows that God has her in the palm of his hand. 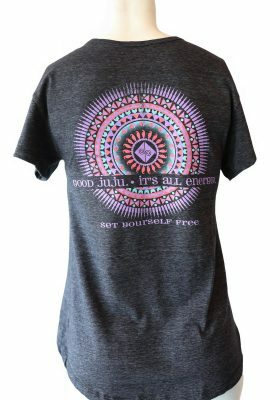 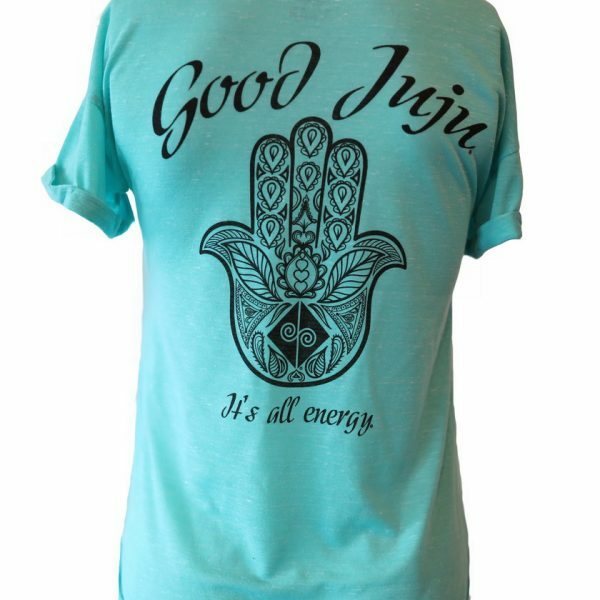 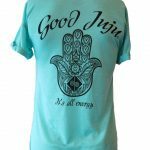 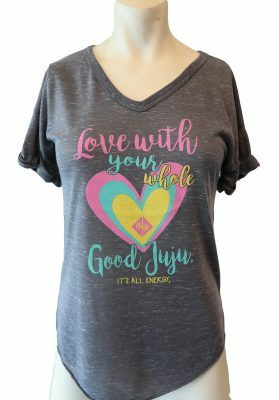 This short sleeve tee will lift your spirits and will help you spread Good Juju every time you wear it. 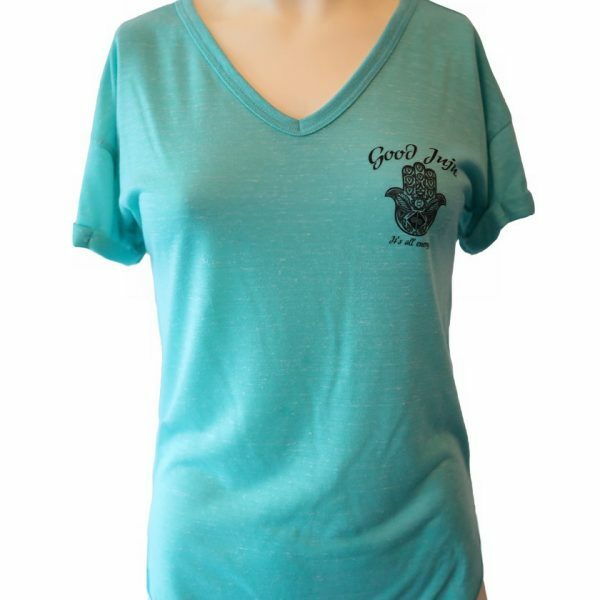 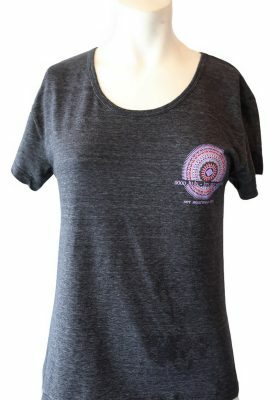 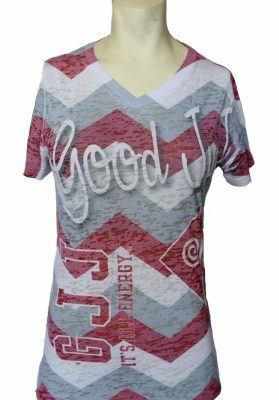 Made from a cotton/poly blend, this tee has a feminine fit and is loose fitting hitting hip length. 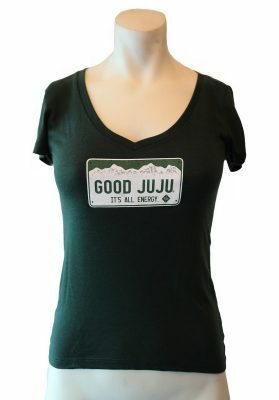 This garment also makes an awesome gift for your BFF, mother, sister, or any gal who is looking to spread Good Juju.